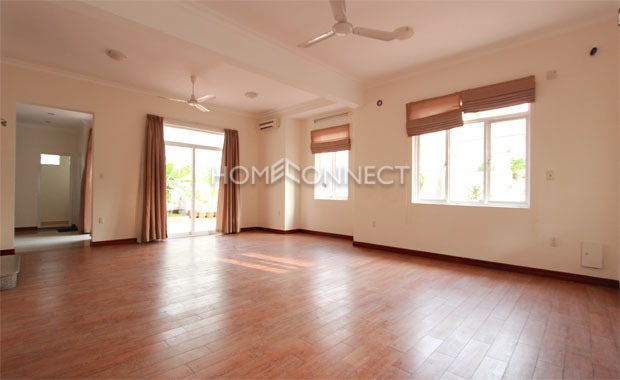 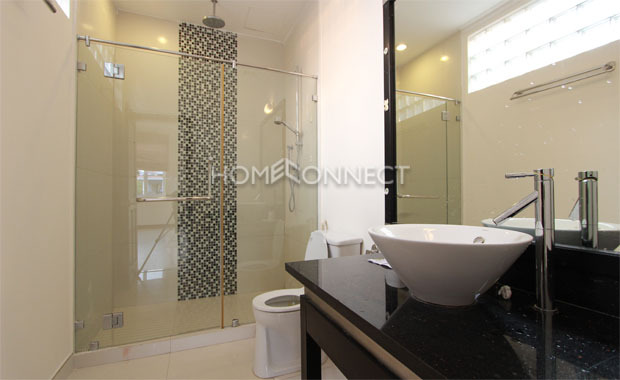 This 4-bedroom modern private villa for rent in Thao Dien is a dazzling, three-storey property with 200 square meters of prime living space. 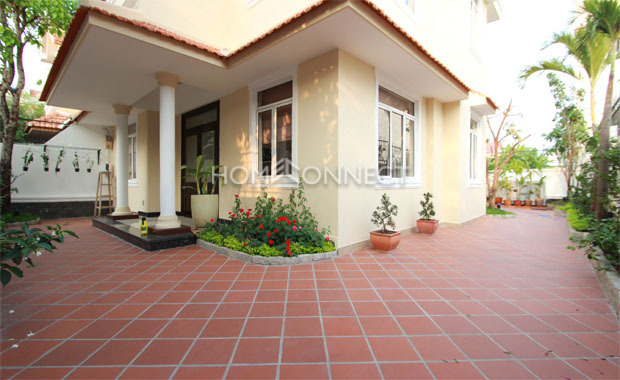 This home in Thao Dien is enclosed by high walls and gated doors while the driveway is surrounded by exotic foliage. 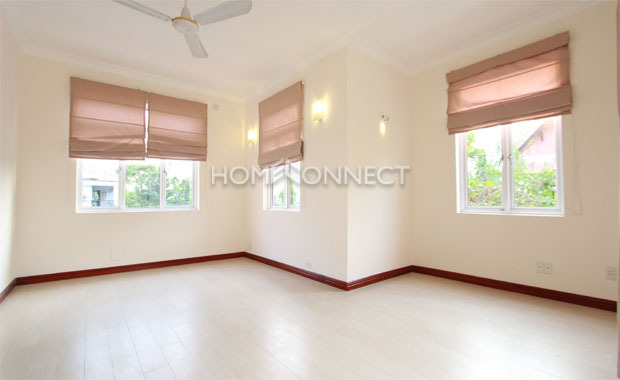 The living room in this modern private villa for rent is spacious with large windows, ceiling fans, and gleaming polished hardwood floor that extends to the dining area. 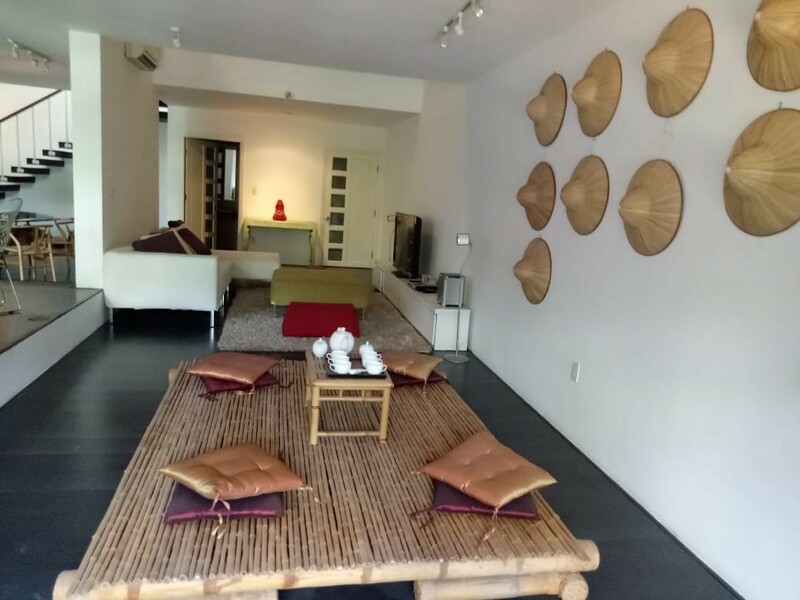 The separate kitchen is equally roomy and equipped with oven, gas stove, smoke exhaust systems, and wooden cabinets cast with marble countertop. 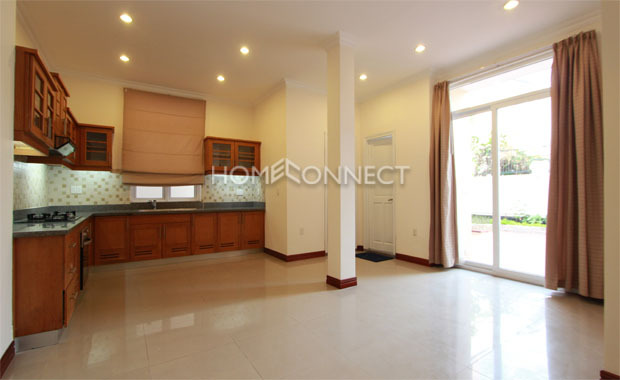 This 4-bedroom rent comes with four bathrooms designed with the latest fixtures while the bedrooms are outfitted with built-in wardrobes, air conditioning system, and floors overlaid with either ceramic or hardwood. 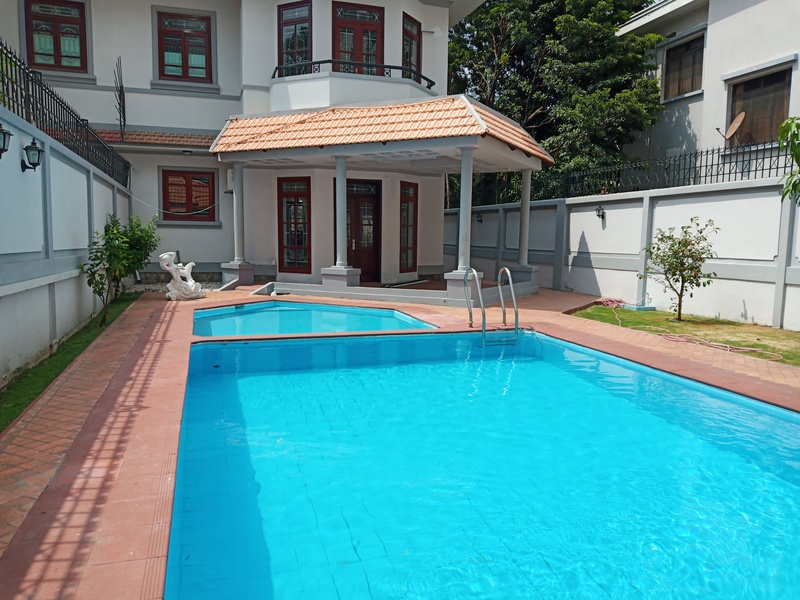 Facilities include a well-tended yard, BBQ area, patio, laundry room, balcony, storage room, broadband internet connection, and cable TV. 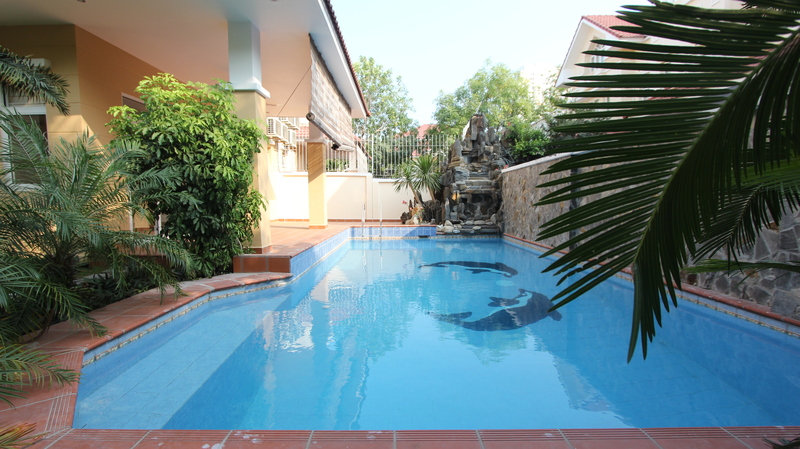 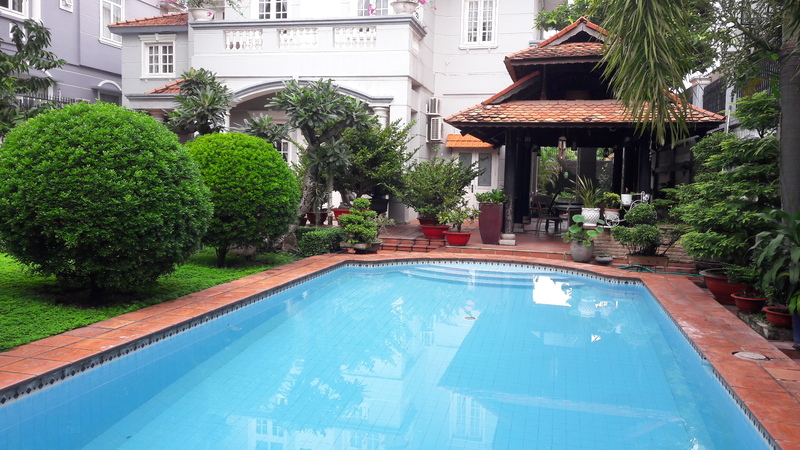 Location of this 4-bedroom modern private villa for rent in Thao Dien is within walking distance to many notable and reputable establishments while approximately 15 minutes away from the bustling city center.